Are you looking for a captivating Roving Magic act? If you are, contact Advent Music today! If you require a quote or just want to make an enquiry, kindly fill up this form, and we'll get back to you soonest! 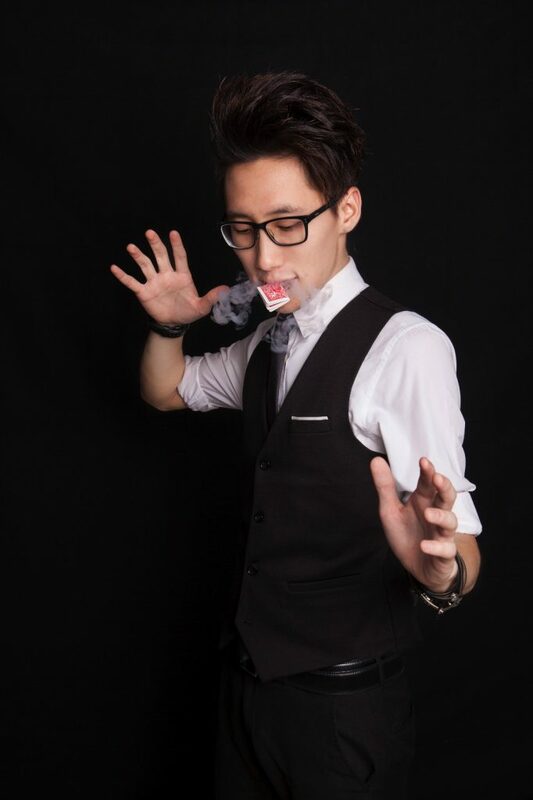 If you want to hire an engaging roving magician to perform at your event, Mark, one of the rare mentalists in Singapore, provides a memorable performance that you wouldn’t want to miss. Roving Magic is where the magician walks from table to table (or crowd to crowd) to engage the audience, and its highly similar to David Blaine’s style of performing magic. He does this with a touch of class as he dresses up well, in formal wear, for the occasion. Being an veteran performer of this artform, he sets the standard high by capturing the crowd’s attention, from beginning to end, with acts that each crowd would not expect. His showcase leaves every group that he has interacted with, speechless! Being a highly sought after magical performer, Mark is truly a specialist at his Magic Performance. He has entertained for many places and clients. Mark is very familiar with the performing scene and knows how to hit all the right emotional buttons to excite his crowd, and his received praise from many organisations. His extensive and robust portfolio of clients and locations includes the Singapore Flyer, the Mayday Rally, Channel 8, Singapore Armed Forces, NTUC, Singapore Turf Club, Equinox and Longines. Additional, he has also performed for, and wowed dignitaries like Mr Goh Chok Tong, Mr Lee Hsien Loong, and Mr Chan Chun Sing. Mark is able to captivate all kinds of audiences. Being no stranger to getting standing ovations, mark injects into each show, the optimal amount of suspense, humour and amazement so that young and old alike will enjoy his engaging performance will never forget! If you would like an Acoustic Band instead, click here. If you would like to consider other Performances instead, click here!